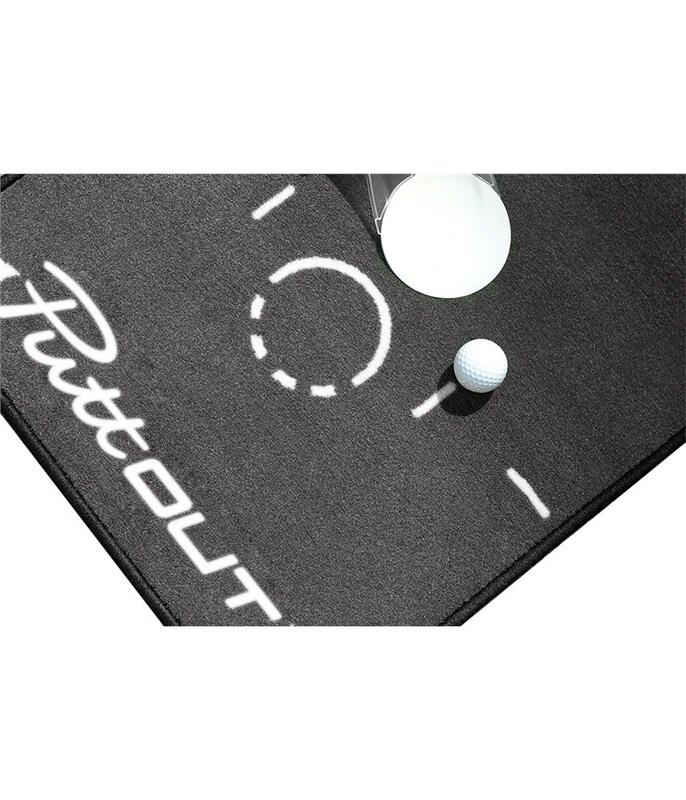 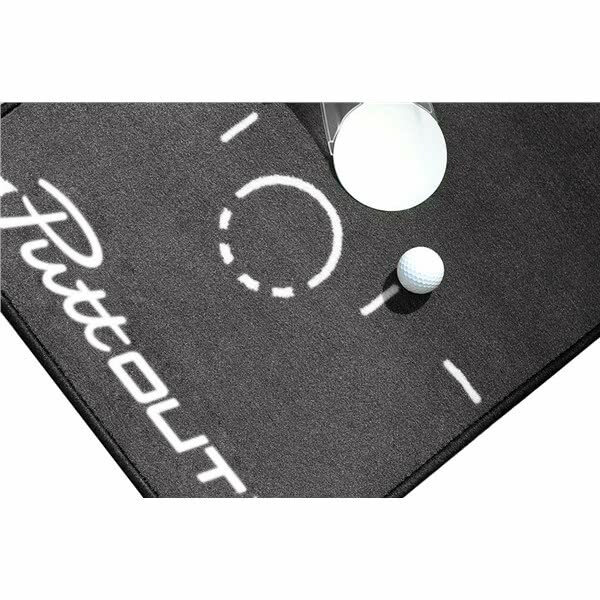 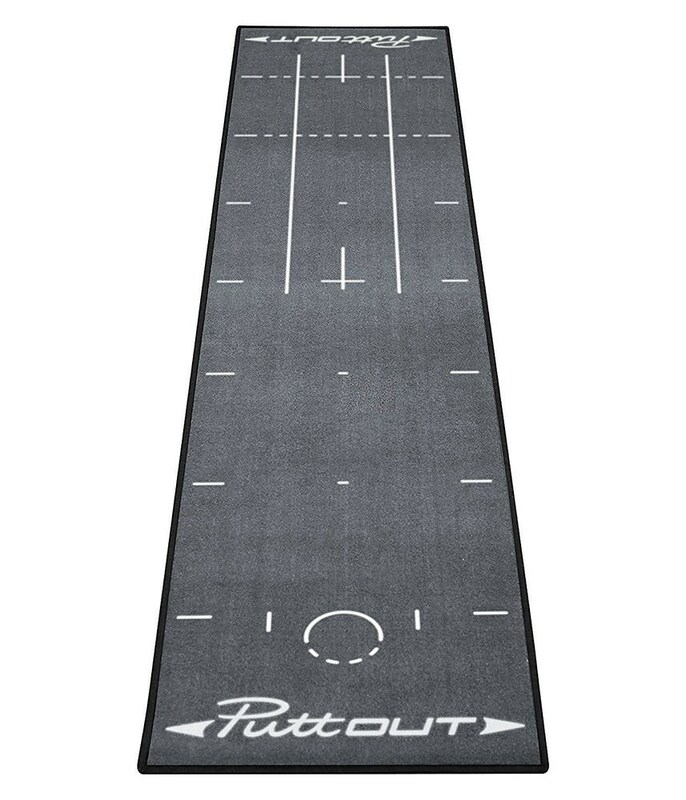 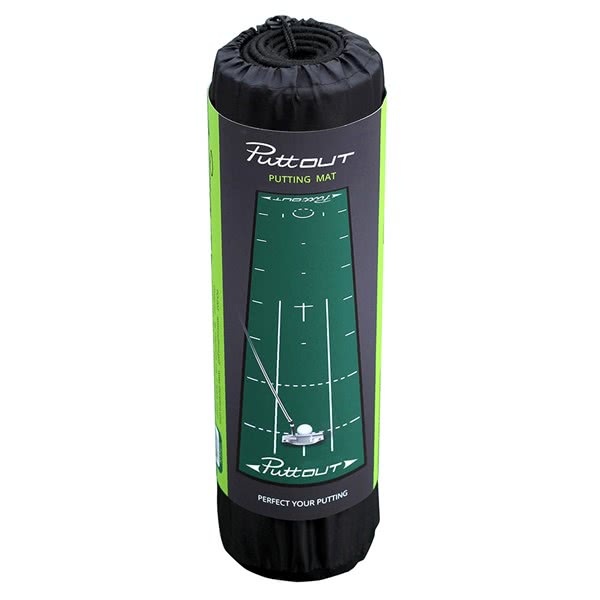 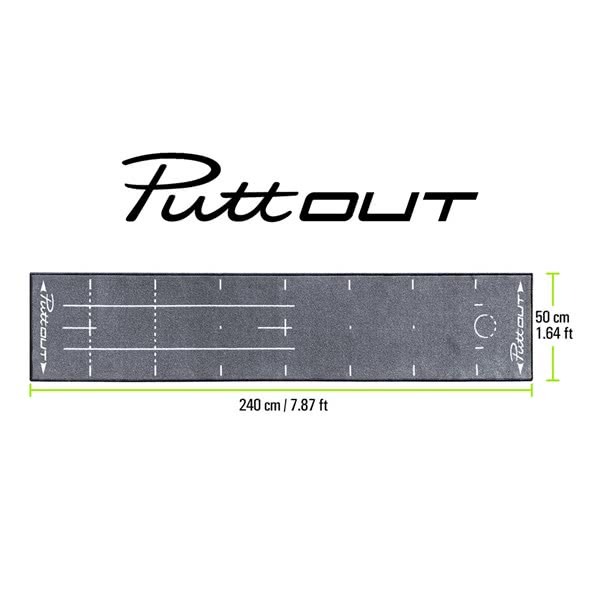 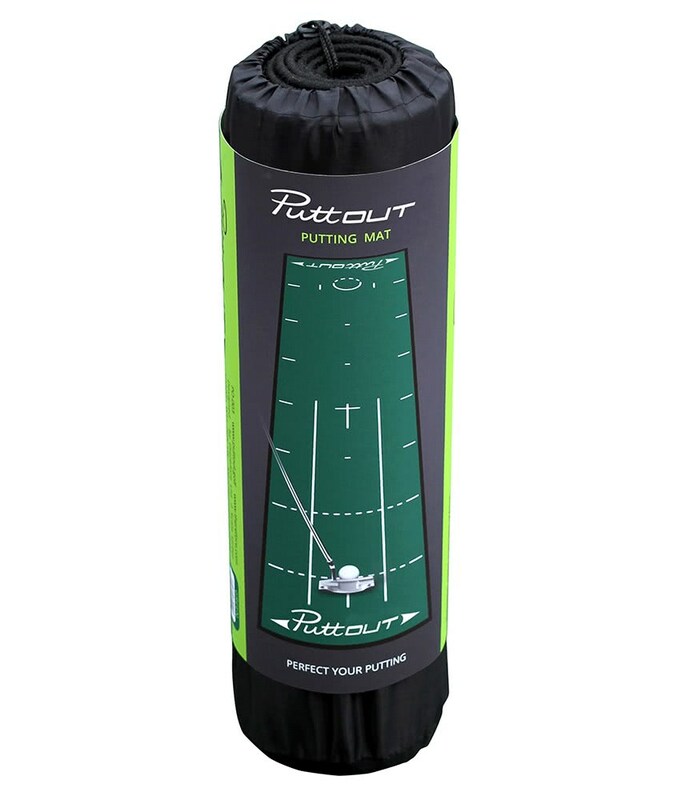 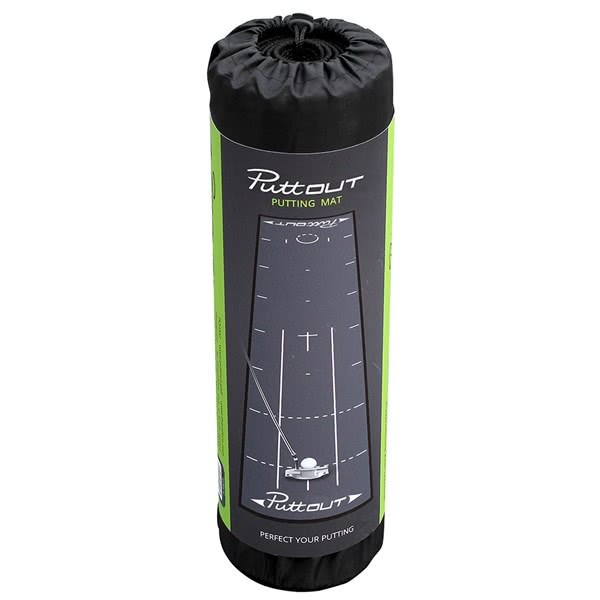 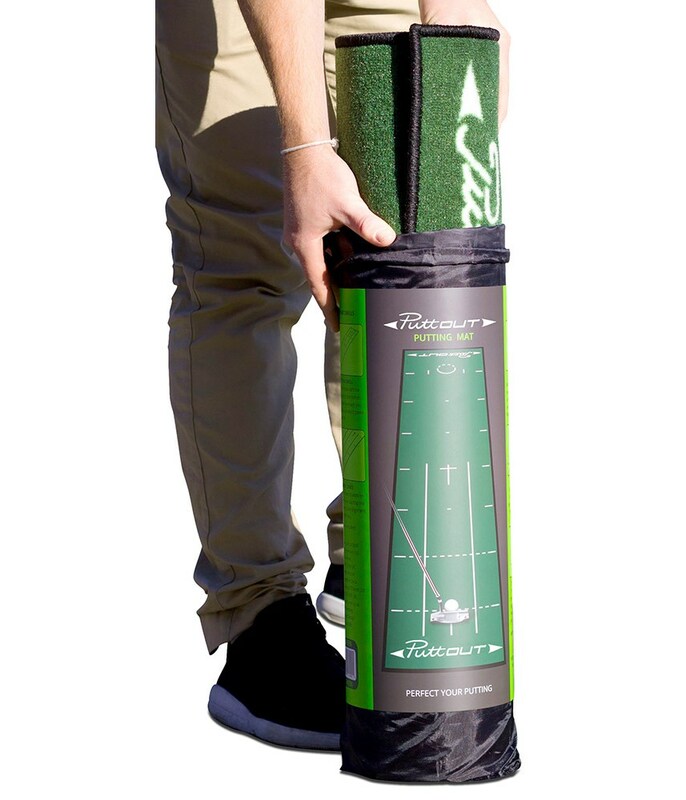 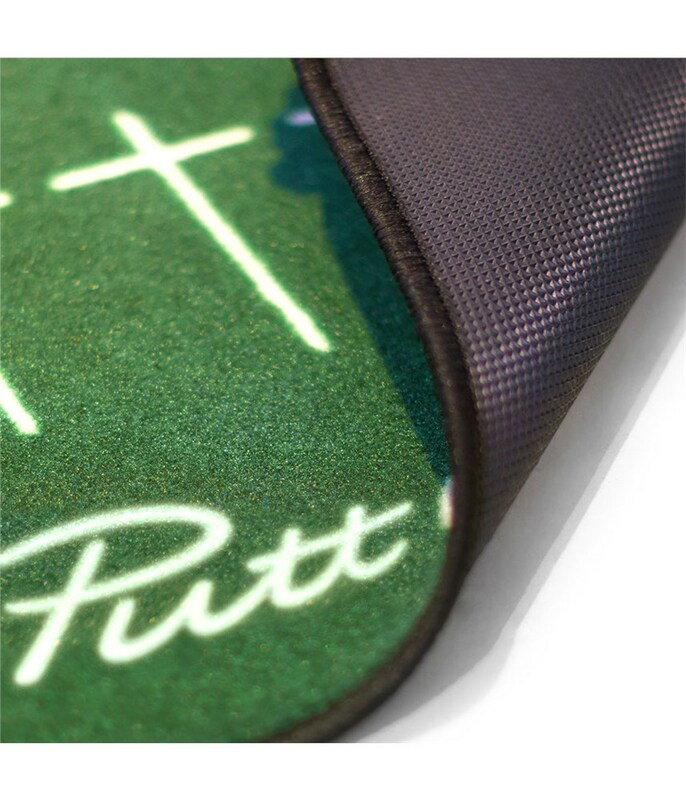 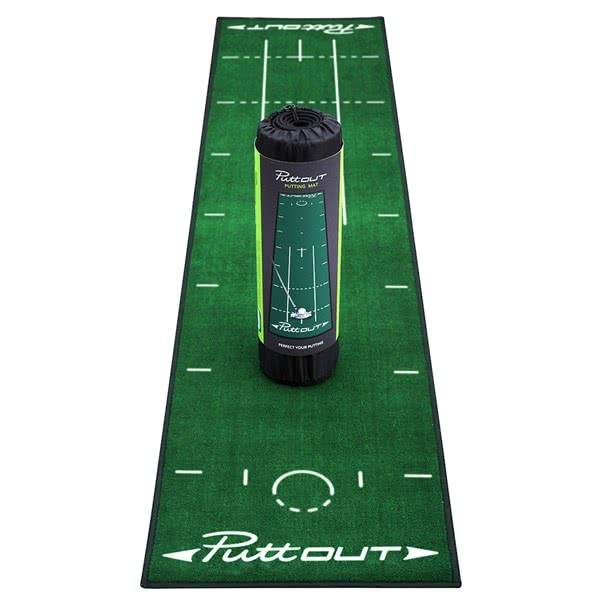 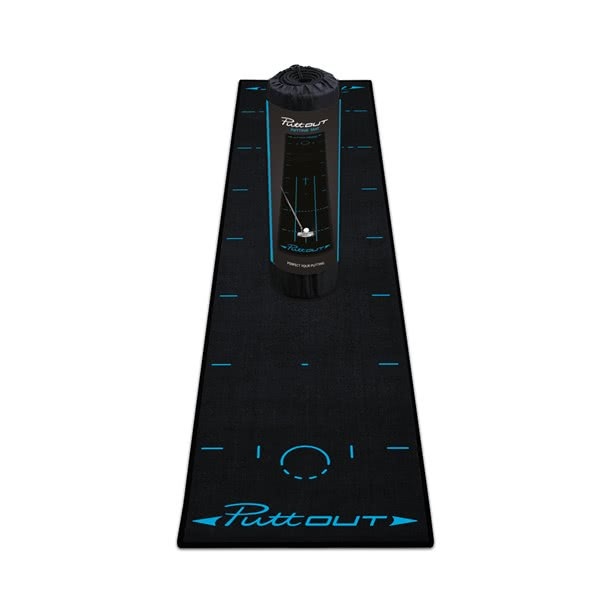 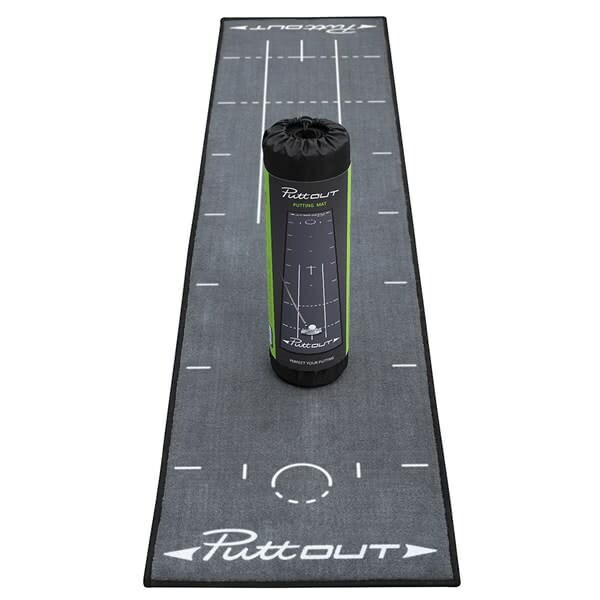 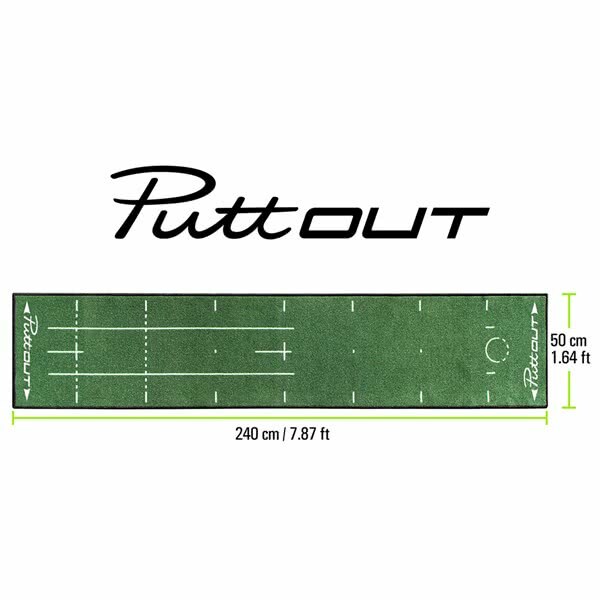 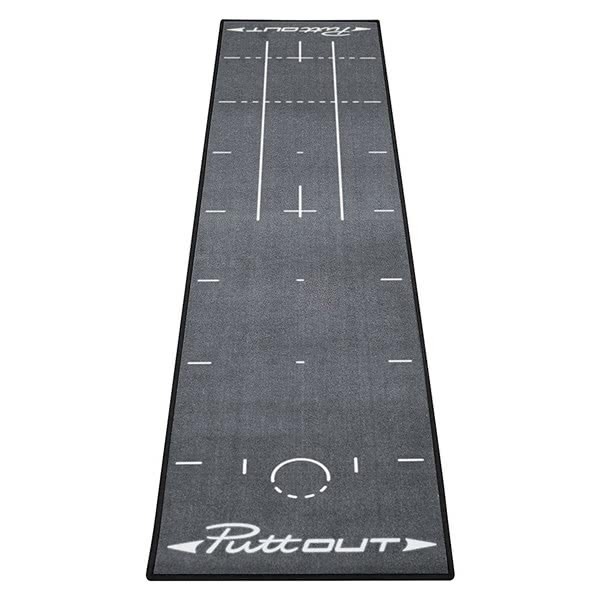 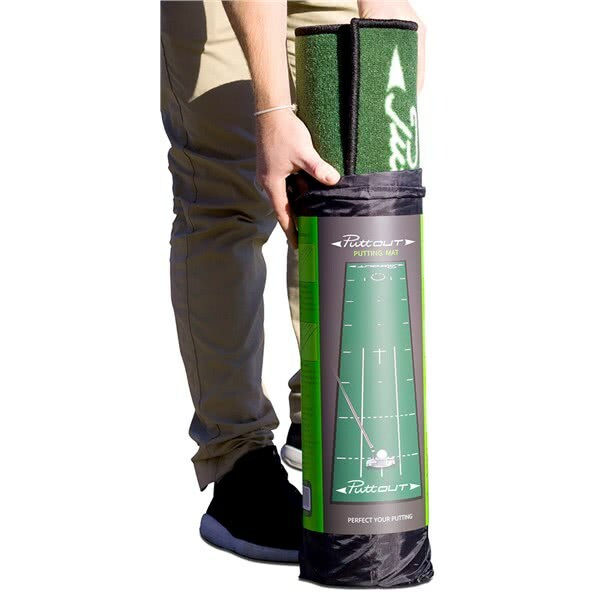 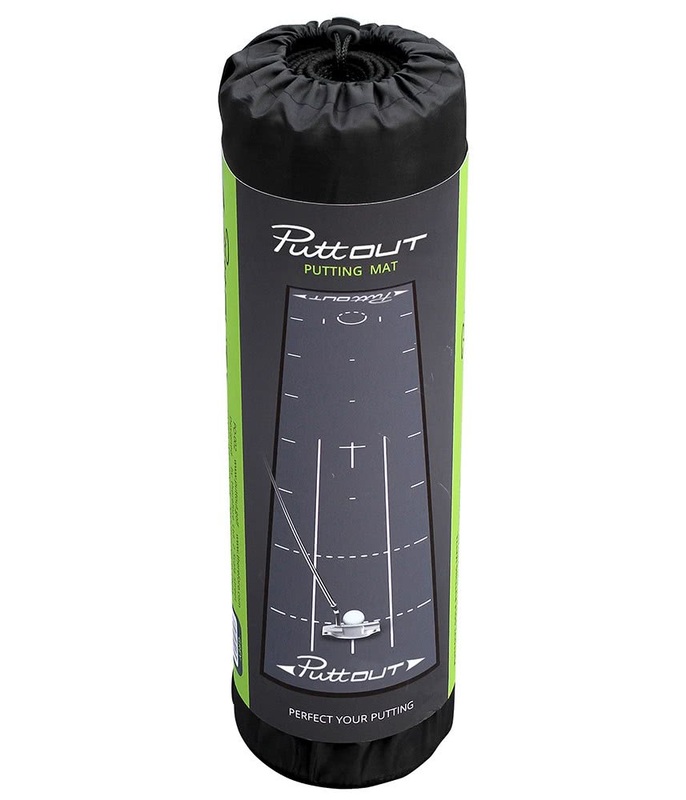 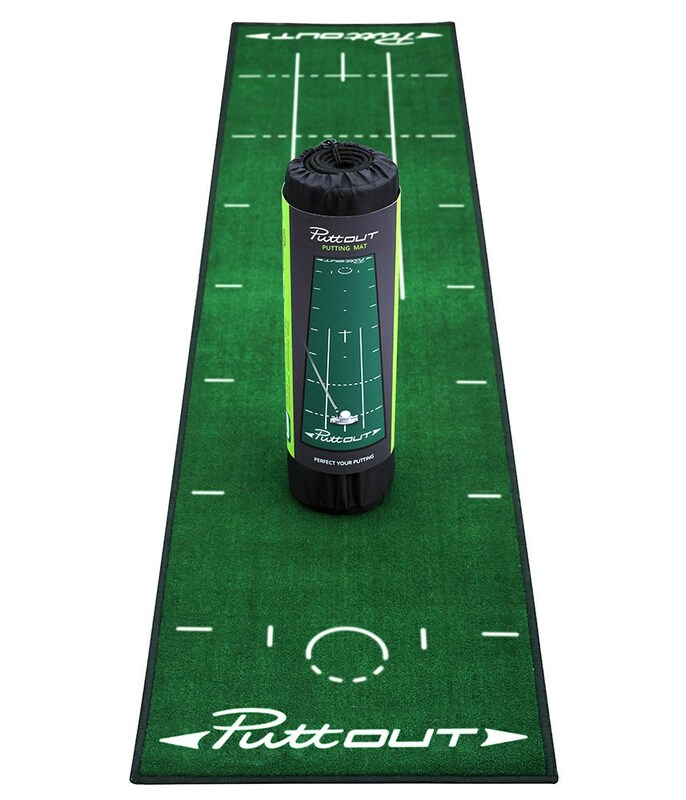 Take your putting to the next level with the brand new deluxe Putting Mat from PuttOUT. 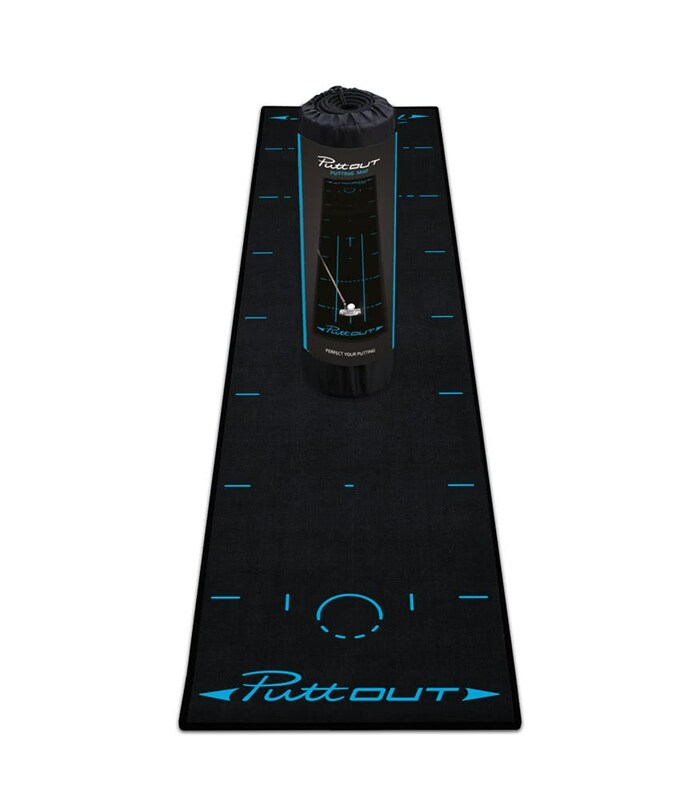 Enables me to practice my putting everyday, it’s of good quality and rolls out flat every time I’ve used it. 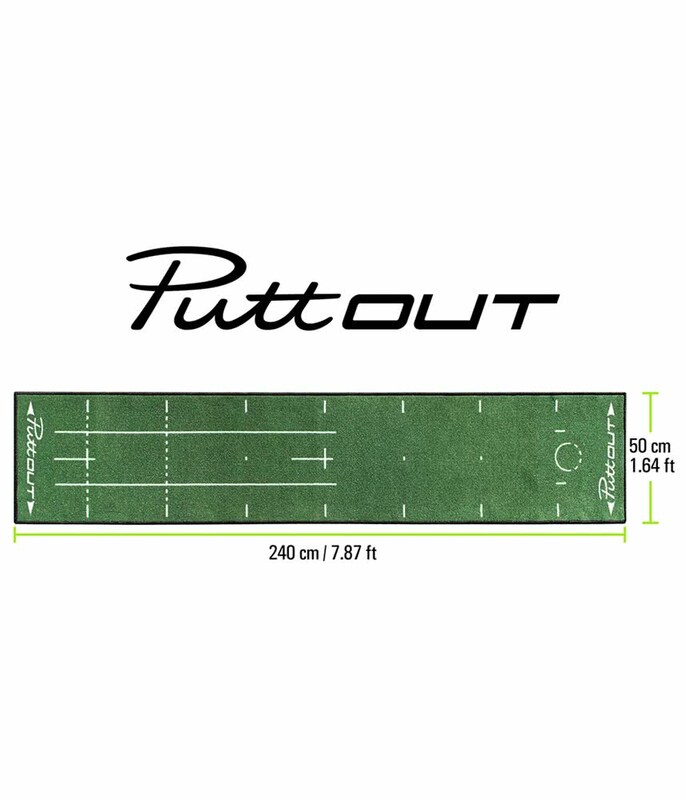 The PuttOUT Putting Mat has been made from a high quality cut-pile that replicates putting on medium-fast greens for effective practice. 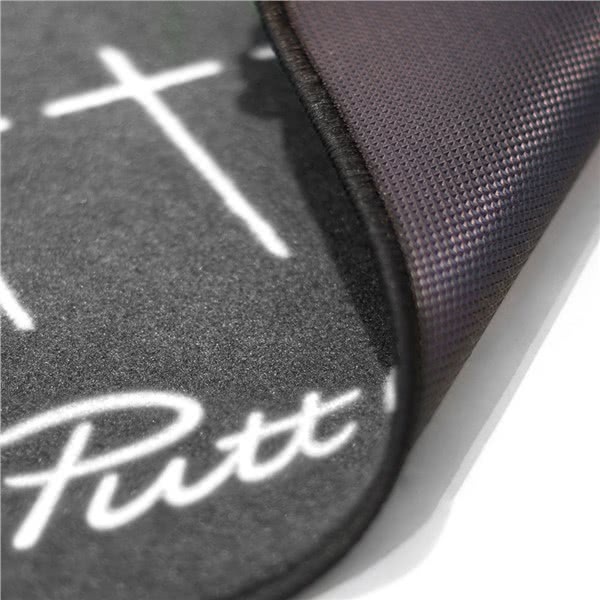 A durable, heavy rubber backing allows the mat to lie smooth and flat on any surface. The design of the mat can be easily rolled and packed away for convenience and safe, compact storage. 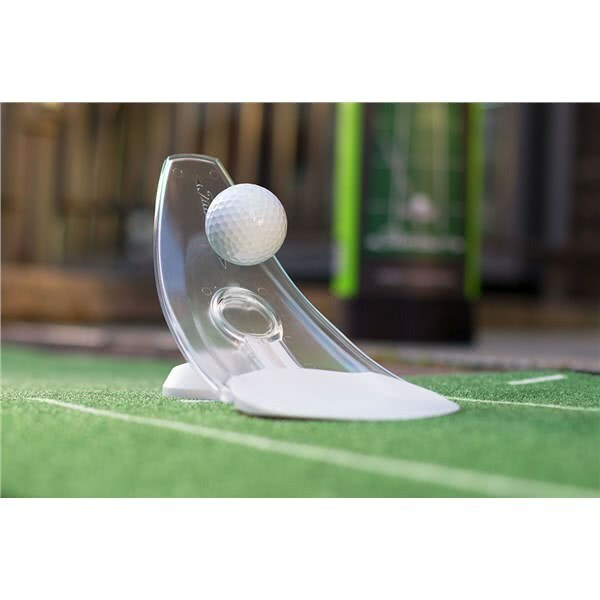 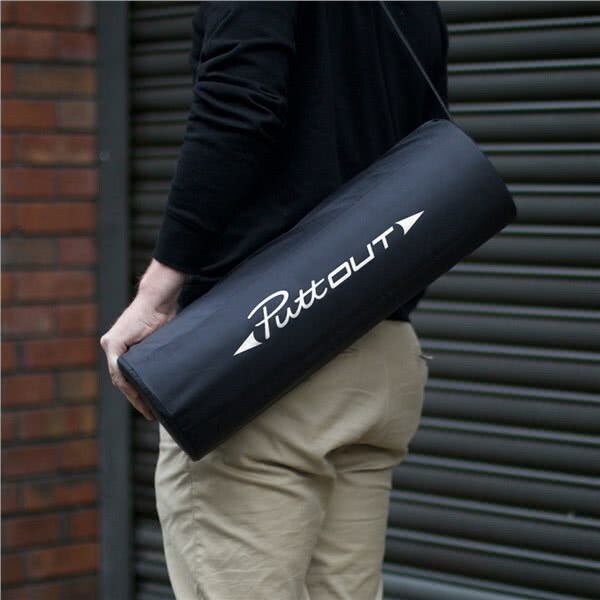 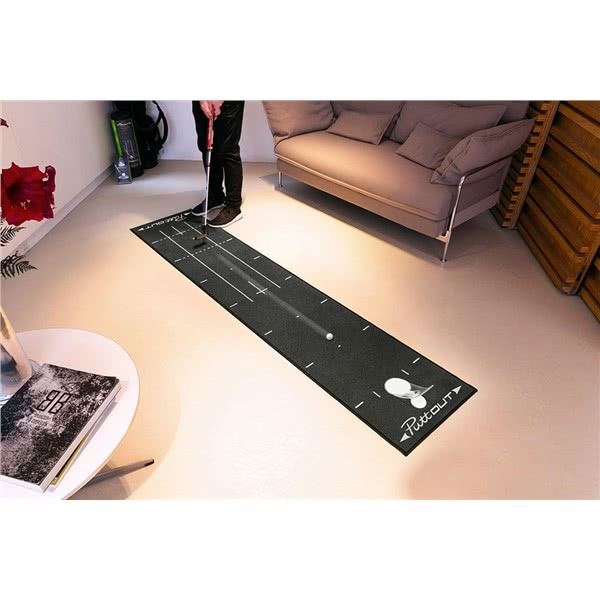 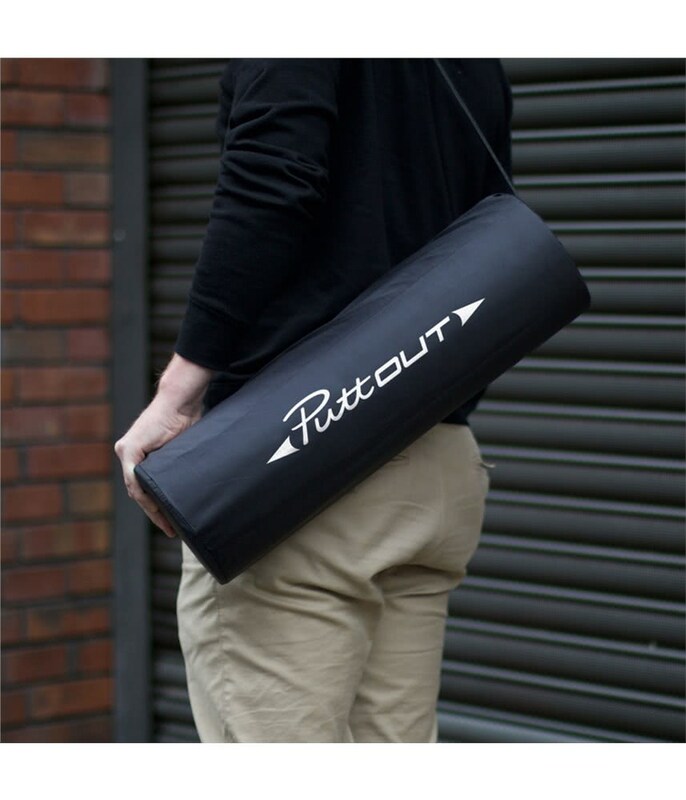 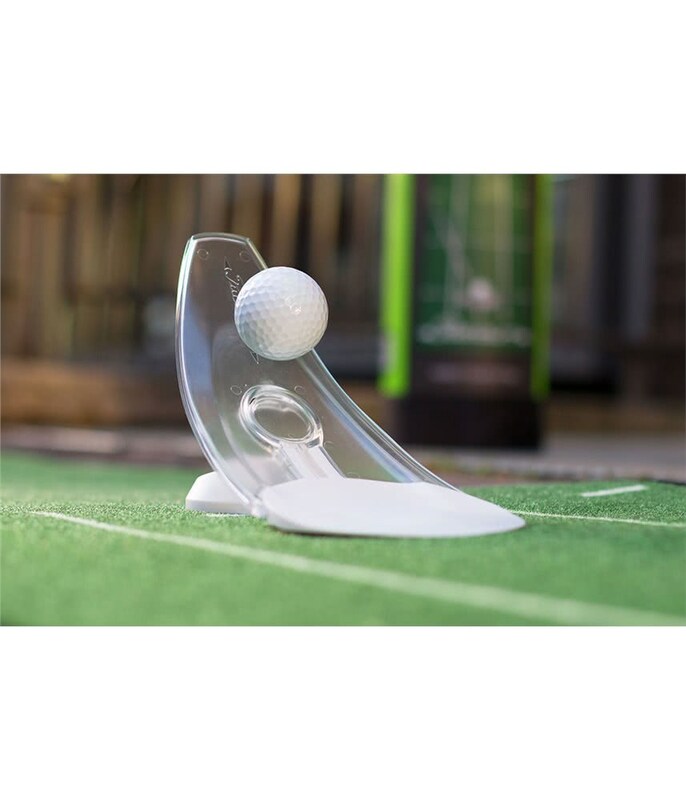 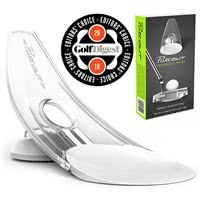 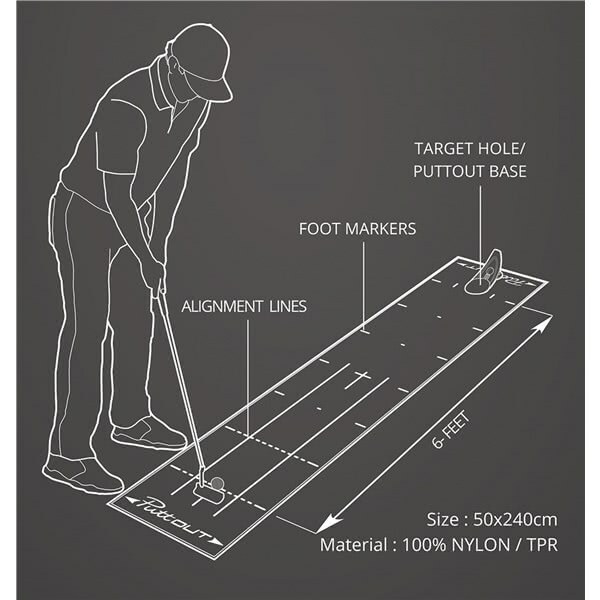 With 40% of all shots on the course being putts it is essential that you put the hours in andthe PuttOUT Putting Mat allows you to do this at home, the office or just about anywhere that you have a spare 2 metres. 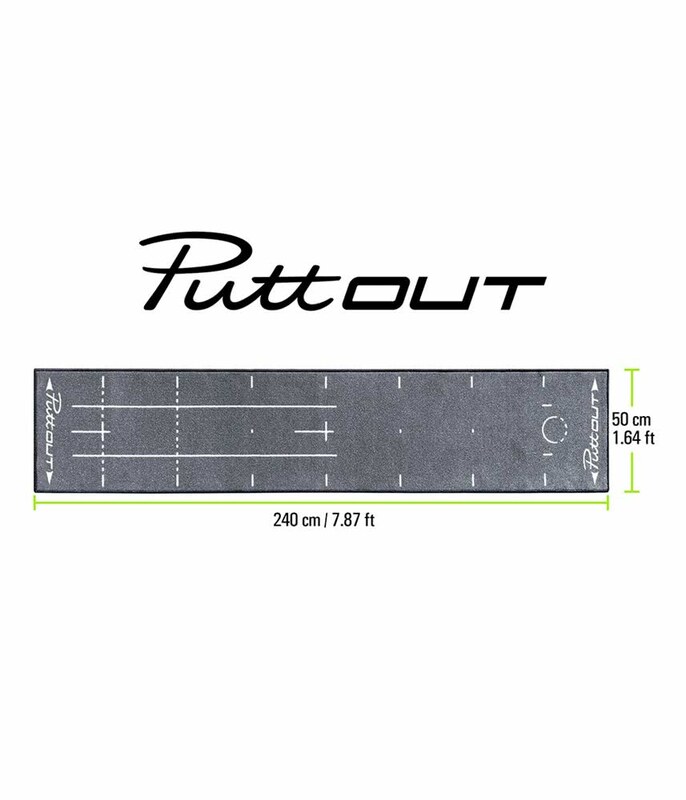 Printed alignment guides, target points and distance markers will let you practice every drill you can think of to make you a more consistent putter. 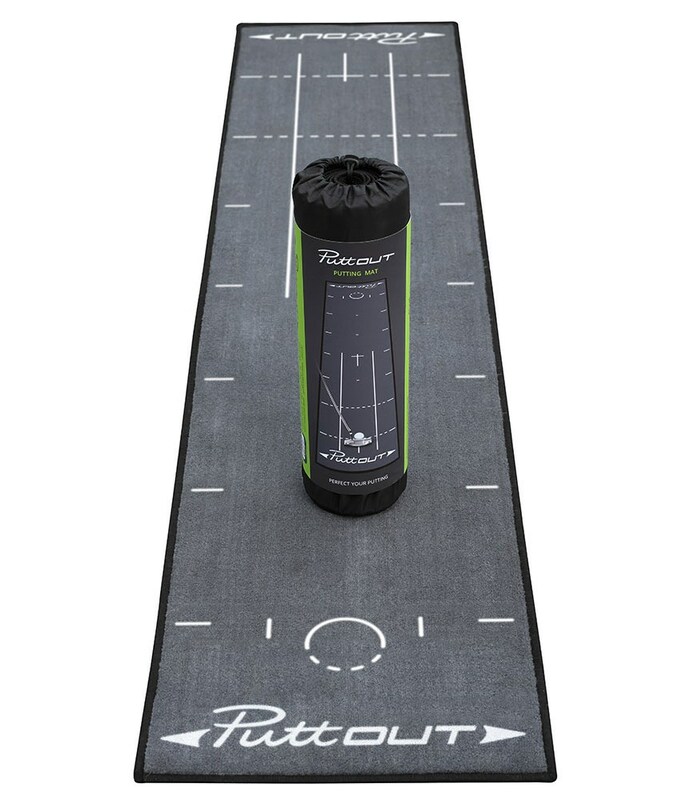 Inside the package is an instruction manual that has five awesome drills that will drive you crazy at the beginning but after working on the stroke and gaining increased repetition of your stroke they do become easier and easier. 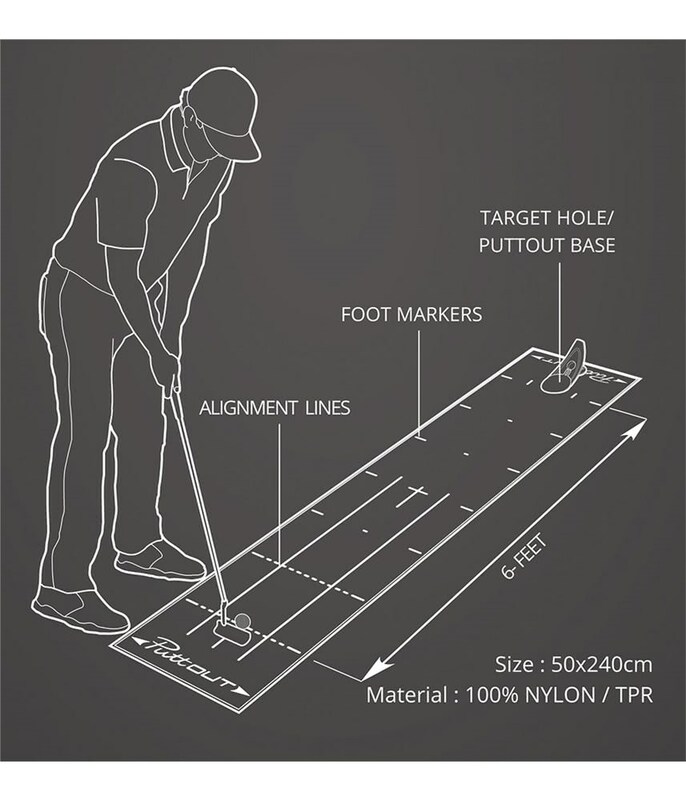 And believe us the practice does make perfect!